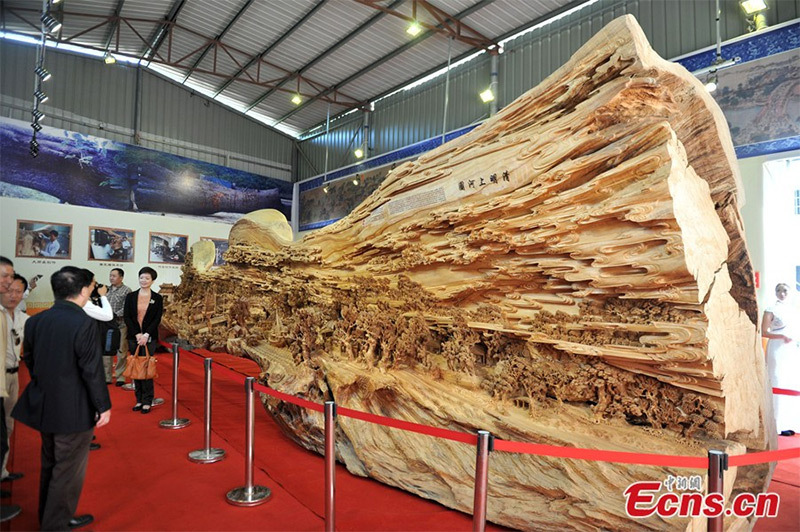 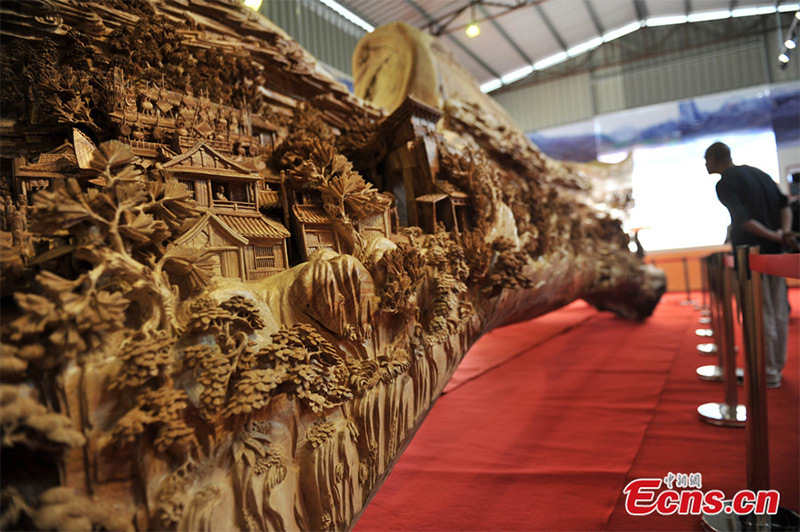 A wooden sculpture, featuring the famous painting Along the River During the Qingming Festival, succeeds in creating a new Guinness World Record – “the world’s longest wooden sculpture” – on November 14, 2013. 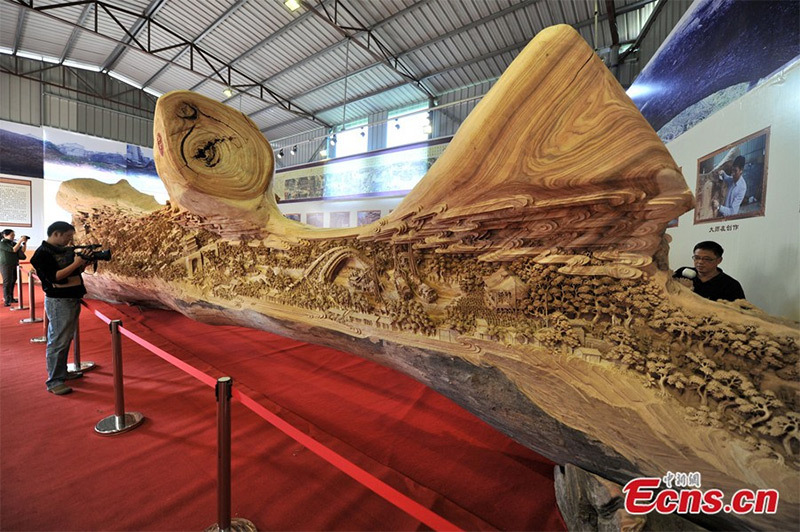 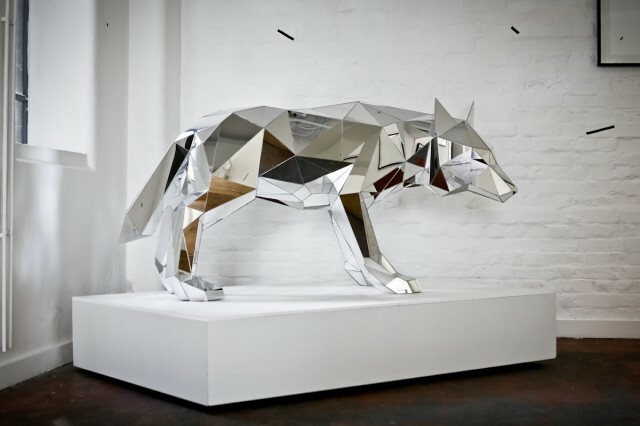 Chinese artist Zheng Chunhui spent four years creating the sculpture, which is 12.286 meters long, 3.075 meters high and 2.401 meters wide. 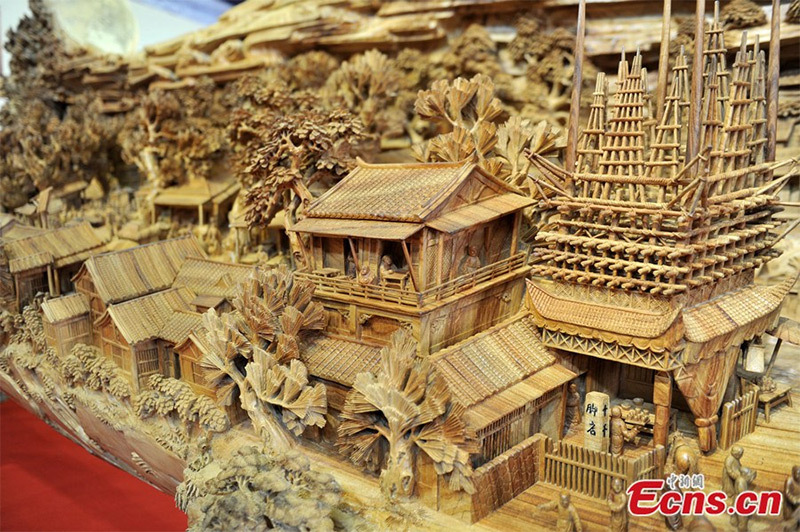 more photos on China News.